Call to Action for Nevada’s Sage-grouse. Sagehen Creek. Chicken Creek. Grouse Canyon. Sage-Hen Wash. These names of the sage-grouse and places where it lives, were documented long ago by Native Americans and settlers to the West. 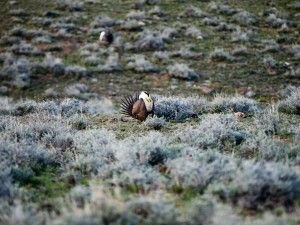 Making it’s home in western states, the bird is of particular importance to Nevada and the Great Basin. The Black Rock High Rock Nation Conservation Area is the most dense population habitat location and trouble is on its horizon. 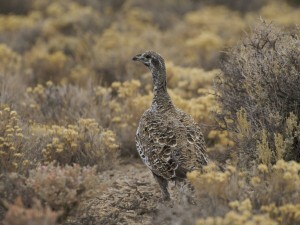 The largest species of grouse in North America, it forages on the ground eating insects and plants within sagebrush habitat. The birds elaborate courtship ritual in spring, beings males to congregate in leks who then perform a “strutting display.” Females observe the males and select the most attractive as mates. The best dancer wins. Petitioned for protection under the Endangered Species Act, and the United States Fish & Wildlife Service, the sage-grouse is on course to make a listing decision by fall of 2015. Dramatic population reduction is attributable to a variety of activities and factors throughout eleven western states that have led to fragmentation and loss of the sage brush steppe and broader ecological habitat systems. Recent analysis of land uses, new management and conservation guidelines for sage-grouse and habitats has been drafted by the Bureau of Land Management and will be released this month. Concurrently, but not in coordination with the BLM effort, a state-driven process is underway in Nevada to detail conservation and restoration needs that would benefit sage-grouse and develop a program to distribute funds that might be identified to achieve these goals. A dramatic impact on the economy and communities of Nevada will happen should the sage-grouse be listed under the Endangered Species Act. We must endeavor to protect and conserve – not only to protect this iconic species of the West, but also the magnificent landscapes it calls home. Develop a mitigation program, with funding, to help ensure the long-term survival of the sage-grouse. 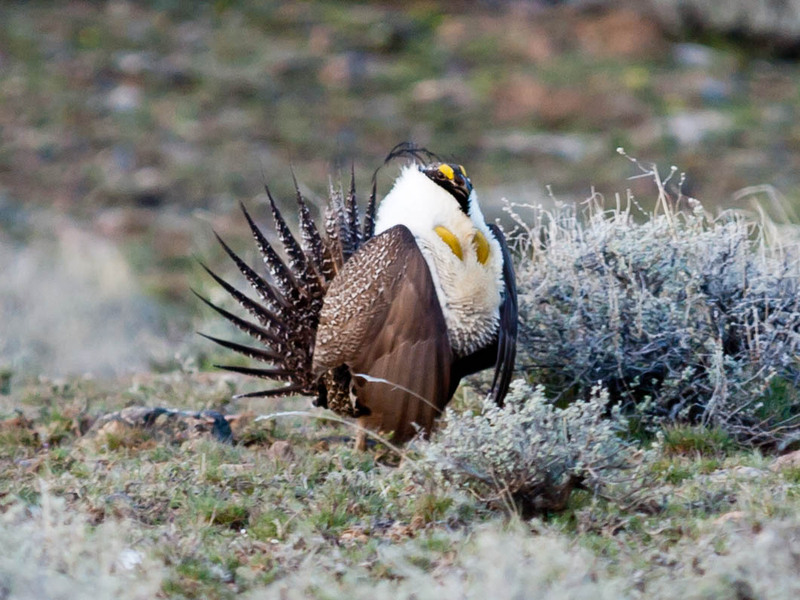 One way or the other, a comprehensive and pragmatic approach for conservation of sage-grouse is needed as well as addressing Nevada’s economic interests. Photos courtesy of John Tull.